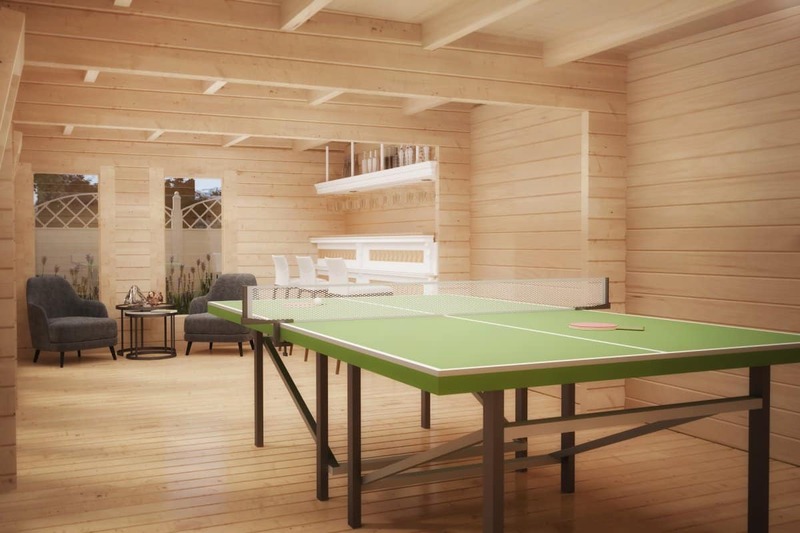 If you are looking for a garden table tennis room, large garden pool or billiards room or simply the best man cave in town, then you need look no further. 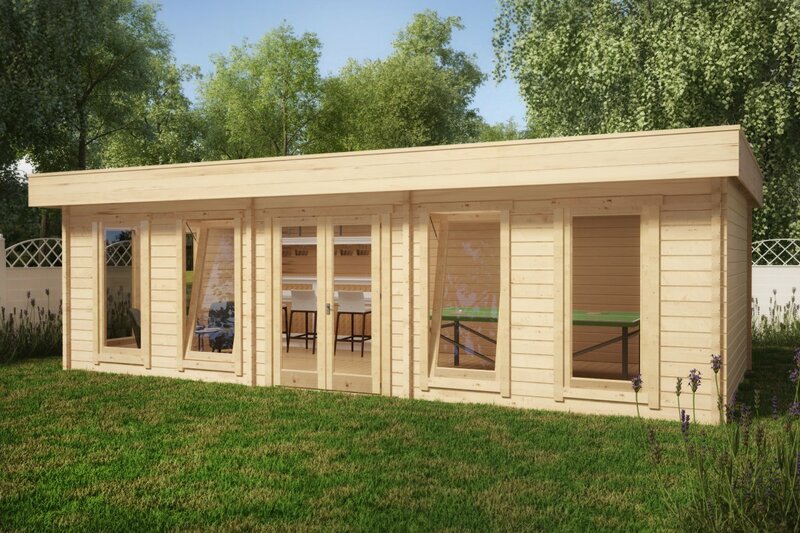 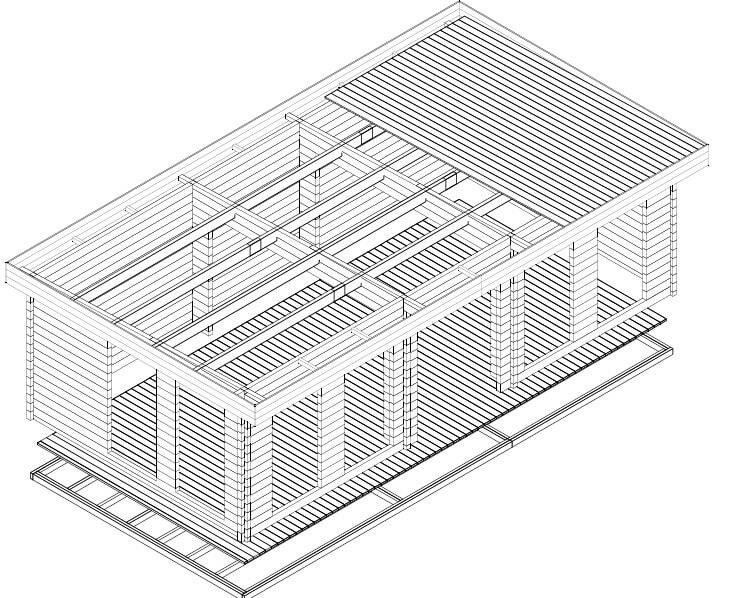 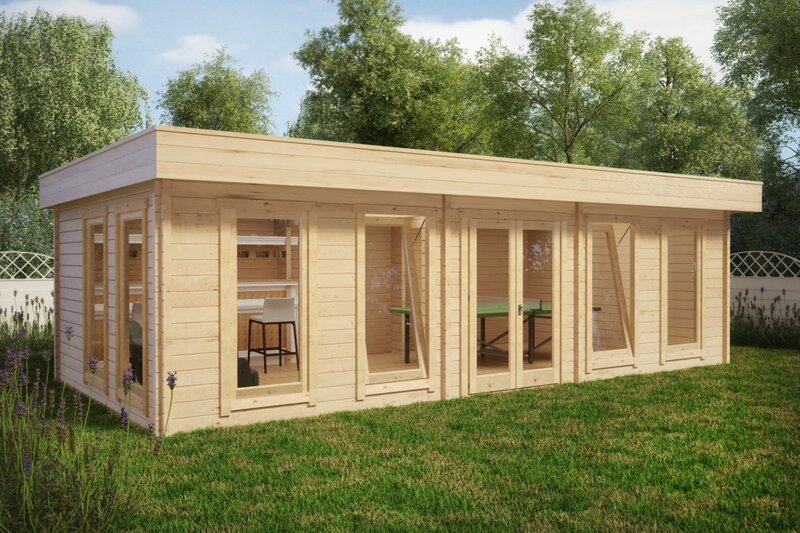 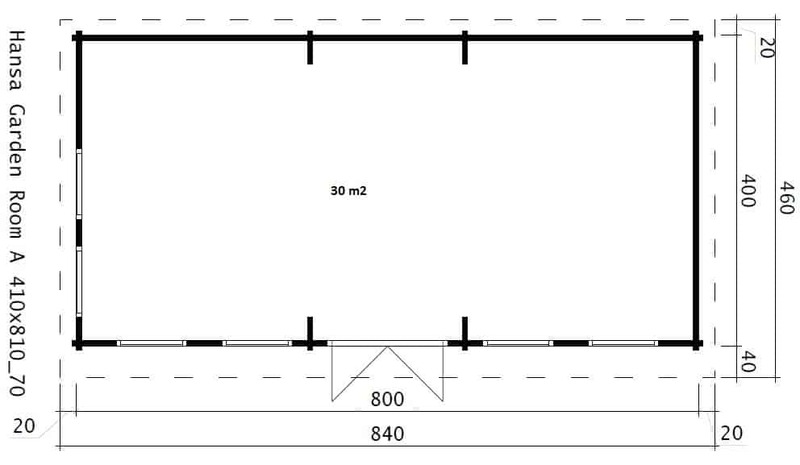 Our 8 x 4m luxury garden room gives you 30 m2 of space and has 6 wall high double glazed windows, 70mm wall planks as well as thick and sturdy 28mm floor boards. All these previously mentioned standard features are widely used for holiday homes, in other words, The Garden Table Tennis Room is a pure luxury in your garden with extra sturdy walls, weather and wind proof windows and a very long life span.